Chick's Picks by Hillary: Soooooo Many New Treasures...! Just click on the pics below & scroll! Love the Adorable Tins of postcards to use as quick "Thank You" notes! Then I use my empty tin for "girlie supplies" in the powder room! Tons of New Belt Buckles!! Get your June Boutique Show Invite here! 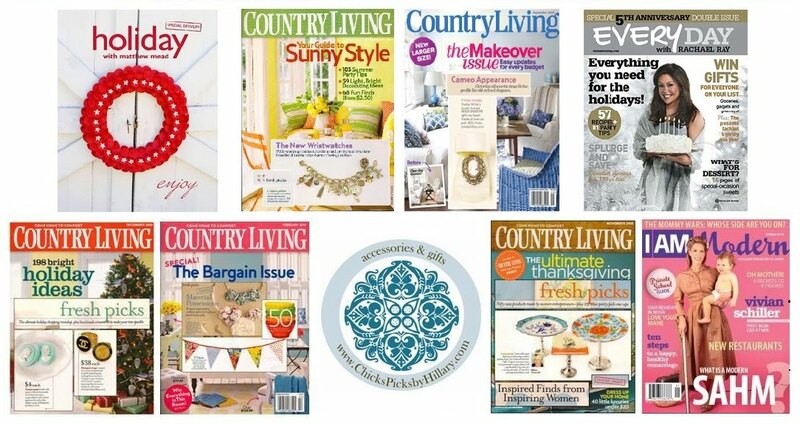 My private boutique shows & online store highlight original creations by local and national artists that have been featured in national magazines such Country Living & Everyday with Rachael Ray. The passion behind Chick's Picks has always been to create, discover & showcase hip, vintage, & unique fashion & home accessories. Check out and shop select Chick's Picks beauties online now! June 2~4: Summer Favorites Return! Type your email in here! CP Royal Wedding Collection on WUSA Chan. 9! Thank you for visiting the Chick's Picks blog! 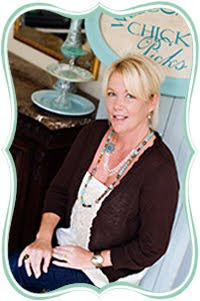 Official Blog of Chick's Picks by Hillary created by Kathleen Jansen & www.SweetPeaInk.com. Simple theme. Powered by Blogger.